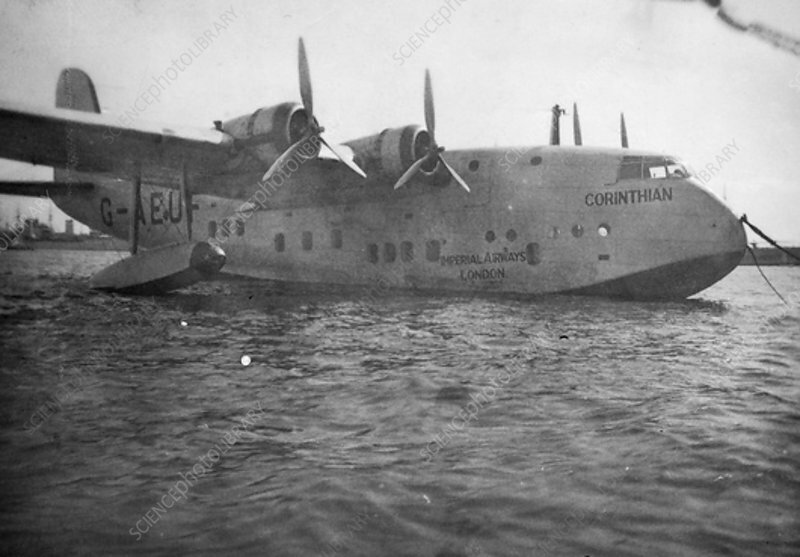 Short Empire flying boat 'Corinthian', Alexandria, Egypt, c1938-c1941. Empire class flying boats were built by Short Brothers at their factory in Rochester, Kent, the first flying in 1936. Operated by Imperial Airways, then BOAC, they carried passengers and mail between Britain and its colonies in Asia, Africa and Australasia. The plane crashed at Darwin, Australia, on 22 March 1942 with two fatalities.